The new Martha Stewart Weddings Summer issue is on newsstands now, and Plurabelle Calligraphy was comissioned to design an alphabet of flourished capitals and numerals for this magazine's nifty issue-within-an-issue, Design-It-Yourself Style (pages 257, 260–261, 263). The alphabet is applied to 3 D.I.Y. 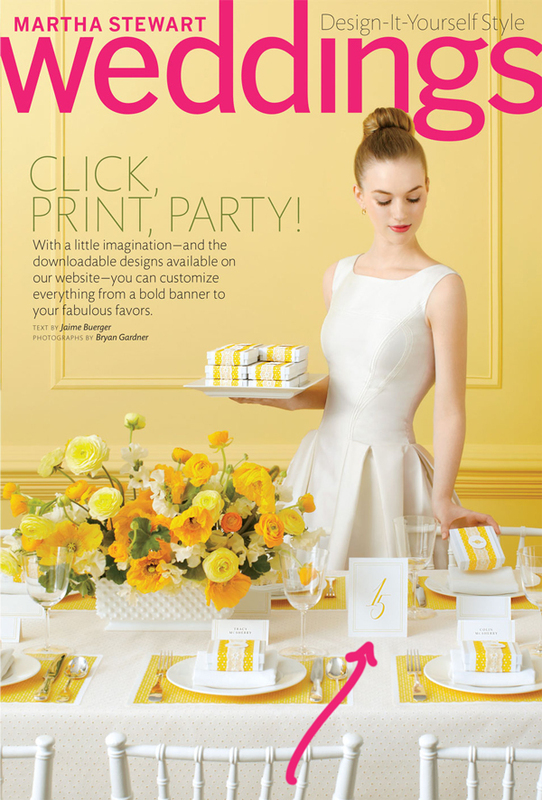 projects, each of which has downloadable templates through marthastewartweddings.com so you can try them out yourself. Above are photos of all three, and below are links to the instructions and templates for each. Enjoy!